Make the Flatiron Hike a Priority! 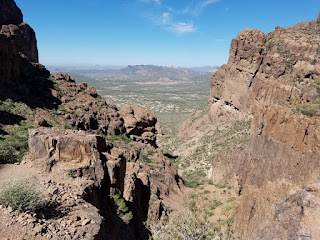 Because I’m apparently bad at prioritizing my to-hike list, the Flatiron hike in the Superstition Mountains only took 12 years of Arizona residence to complete. If you’ve ever done that hike, you know what an idiot I am for waiting so long; if you’ve never done that hike, don’t let yourself wind up like me—hike it! Except, I’m issuing this command at a bad time of year as temperatures are already climbing into the “dangerous” range. So, if nothing else, take this as your official notice to hike this hike in the fall when temperatures are more reasonable. But please make it a point to hike this trail as soon as possible. 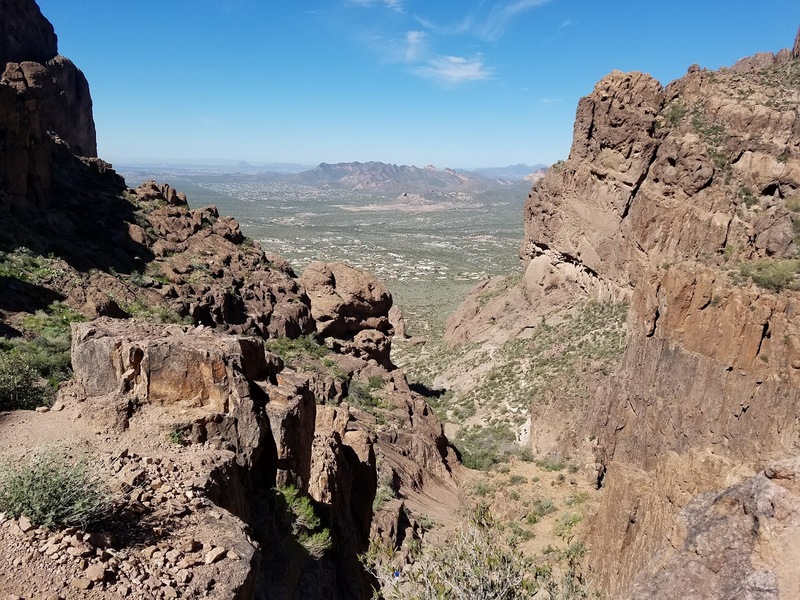 This is the best hike I've done in the Phoenix area, and top-5 in the state. 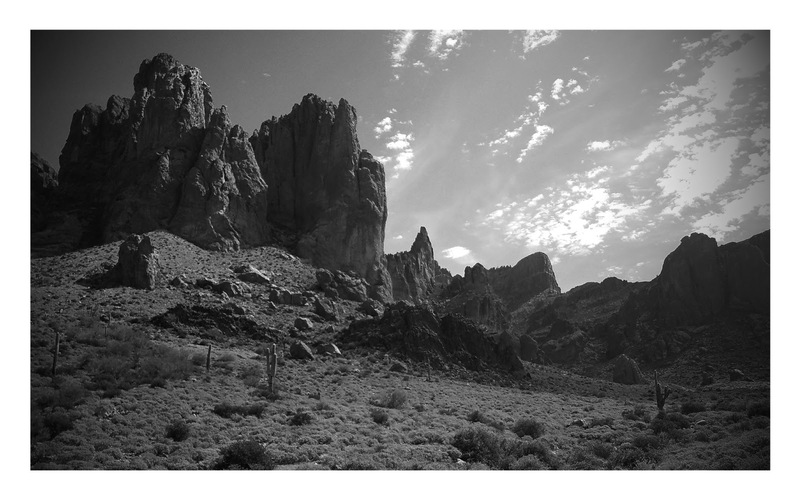 The scenery on the Flatiron hike is nearly unrivaled in Arizona. 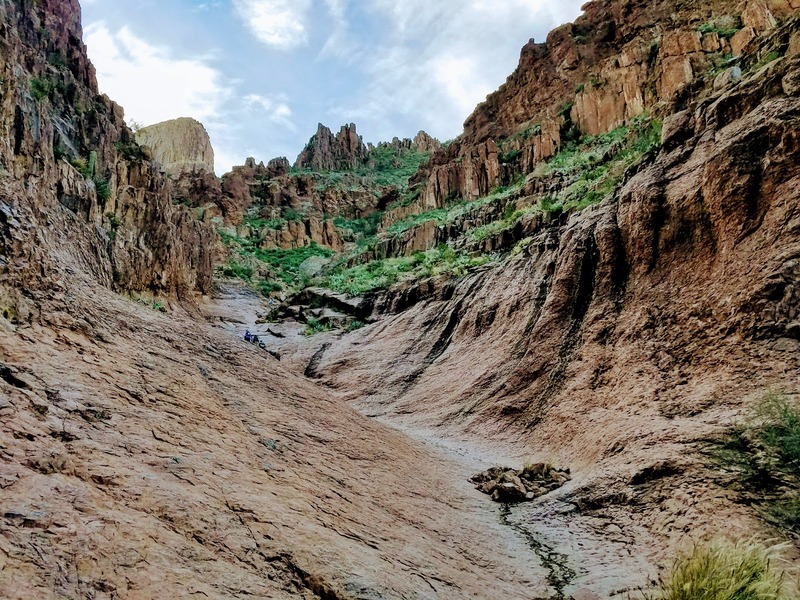 Yes—the same Arizona that’s home to Sedona, the Grand Canyon, Havasupai Falls, Canyon de Chelly…the list goes on. 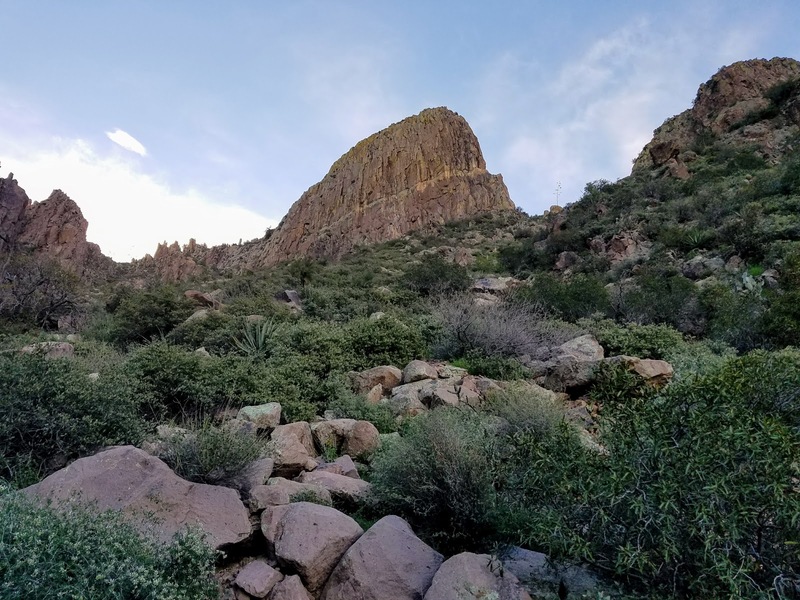 As you hike you are confronted with the vanguard of the massive Superstition Mountains, which rise from the desert in effort to win a position in a geology book demonstrating what the early mountains in Pangea looked like. Your first mile gets you ever closer to the mountain revealing its finer details—a mitten-shaped boulder here, delicate wildflowers there. Then you climb. And climb. And climb. 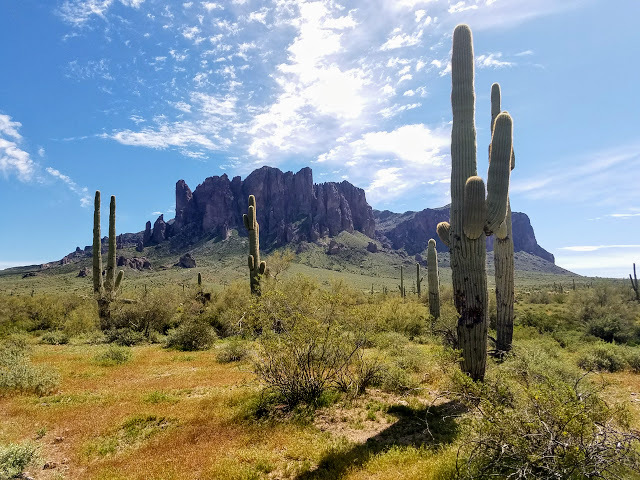 And at some point, fatigued and thirsty, you take a break only to absently turn around and find a sea of desert dotted with saguaros in an unexpectedly green lawn has been behind you the whole time. But there’s still over a mile to go to the top. Each quad- knotting step higher brings a new vista until, finally, you reach the plateau and are rewarded with a panoramic view of the Flatiron itself, jutting forth like an icebreaker ship finally meeting open ocean. Here you think “it can’t get any better, but I’ll walk the half-mile-or-so to the edge of the Flatiron just to say I did.” Somehow, some way, it gets better. To your West-Northwest, Phoenix sprawls like a dropped bowl of milk and cereal; the high-rises of Downtown barely register through the haze. To the Northeast, a broader view of the desert you saw earlier. 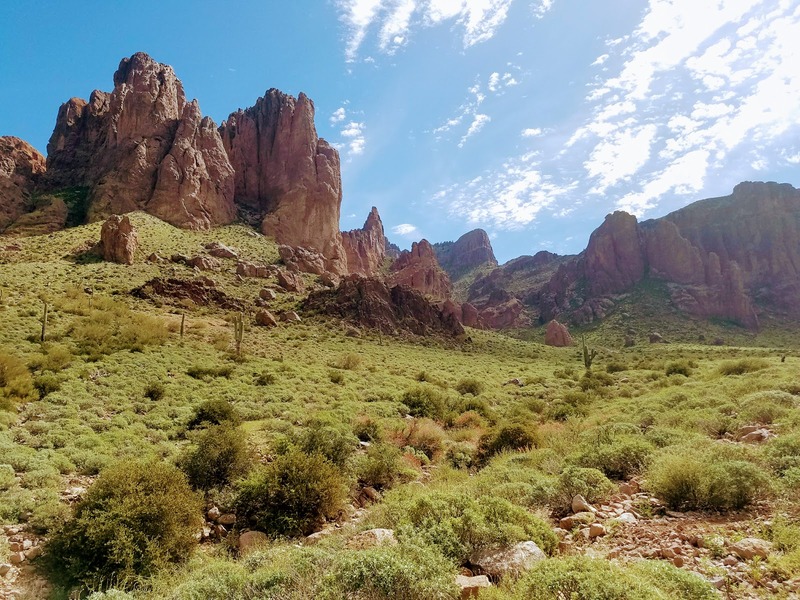 To the Southeast, the Superstition Mountains create a beautiful and treacherous barrier between Phoenix and Eastern-Arizona. 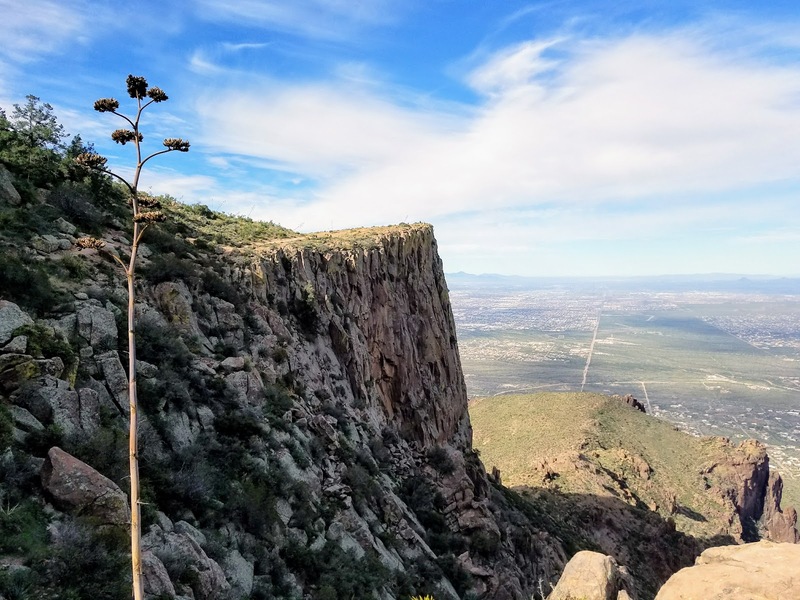 Don’t let this idyllic picture mislead you—this is a difficult hike, one that without proper precautions could be a dangerous hike. To get to the top of this mountain rising out of the desert one must ascend 2,500 feet in about 3 miles. For perspective, that’s roughly equal to summiting Camelback Mountain twice; on footing that will make you long for the uneven steps and slippery gravels of Camelback. After the easy walk up to the mountain, your steps up will strain the mobility of your hip flexors and the ability of your quads to pull you up….for two miles. And this is far from a hike where you can say “but going down is easier.” It’s not. Each step on the way down has to be deliberately placed, then carefully executed, lest you twist an ankle on a loose rock or develop rocket-feet from rolling gravel. Our pace up was almost to-the-minute identical to our pace down, and that’s even with getting lost and off trail on the way up…otherwise down would have definitely been the longer trip. Oh, that’s the other thing: despite Hikearizona.com giving this a 2/5 for route-finding difficulty, it is one of the easiest trails I’ve hiked to unwittingly go off trail. “Is this the trail?” was heard almost as frequently as “are we there yet?” That is not a comforting quality in a rugged, waterless, exposed hiking trail in the desert. We hiked around a half-mile on what turned out to be not the trail, but a route mis-taken by enough others to look convincingly like trail until it ended in a slippery scree field and we had to traverse to the real trail. The definition of unprepared and ill-equipped. A helicopter rescue waiting to happen. I’m not trying to scare you off, but do go prepared and responsible. Don’t be the tourist who attempts this hike with a 10:00 AM start in late March with a 20oz bottle of Aquafina and a pair of Levi’s. The Park Rangers recommend a gallon of water (3.7 liters), which seemed excessive to me until I finished all three of my liters with about a quarter-mile to go. 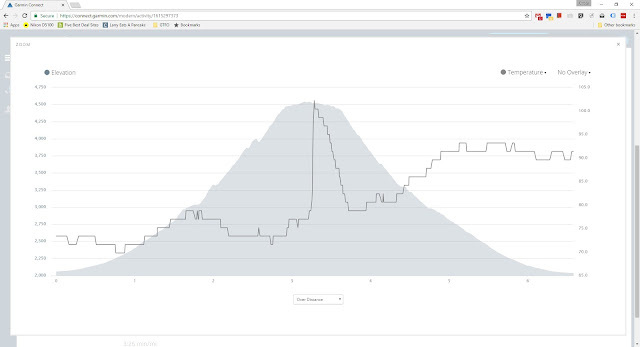 We started at 7:30 AM when temperatures were in the 50s and were completely shaded until we reached the summit. 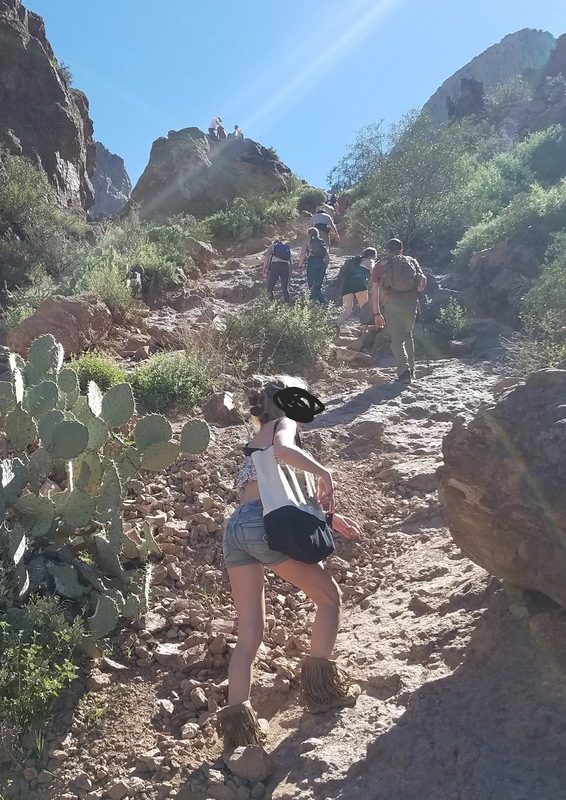 It was only on the way down that the trail started to receive sun and somehow people were still trying to make the climb on a day when temps hit 90 degrees. 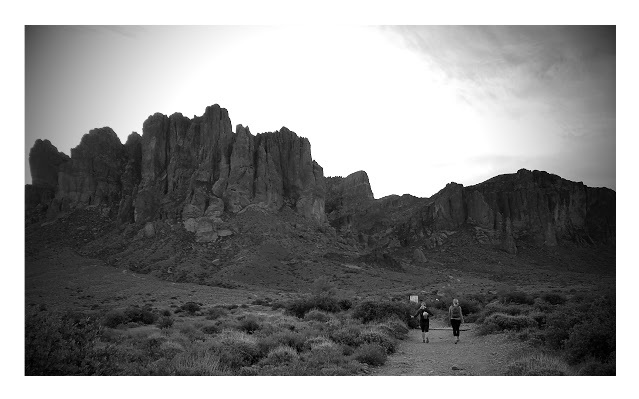 Get there: Google Map Lost Dutchman State Park (State Park Website). From Old Town Scottsdale it was about a 40 minute drive. Entry fee is $7/car of 1-4 adults. Credit cards are accepted. Hike details from HikeArizona.com (I am not responsible for details provided there, use at your own risk). 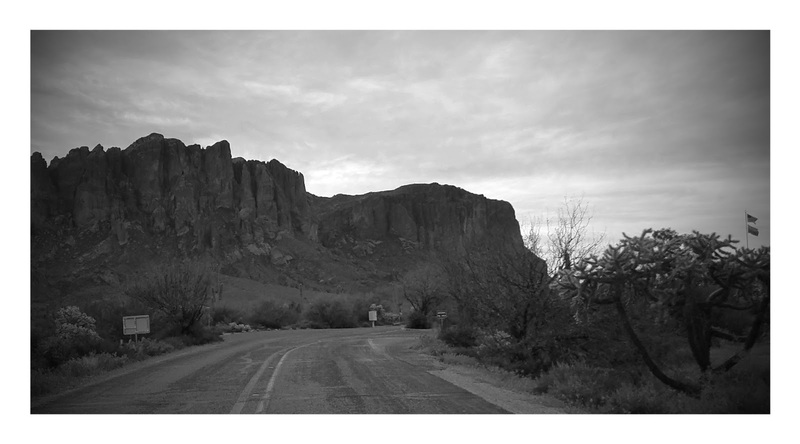 Added bonus – camping is permitted. After the hike – it’s a bit of a drive, but especially for those returning to Scottsdale or points west, swing by Arizona Wilderness Brewing in Northwest Gilbert, right off the 60. By now you’ve earned their “after the hike burger” and a drink or two.